Elder Ronald Riley serves as an instructor for Adult Church School at Mount Zion Fellowship and as a Counselor with the Mount Zion Fellowship Community Development Center’s Pre-Marriage Counseling Program. He received his Bachelor of Science Degree in Chemical Engineering from the University of Missouri. Elder Riley is a practicing attorney, having received his Juris Doctorate Degree from Cleveland Marshall College of Law. Elder Riley has been with Mount Zion Fellowship for over 20 years. 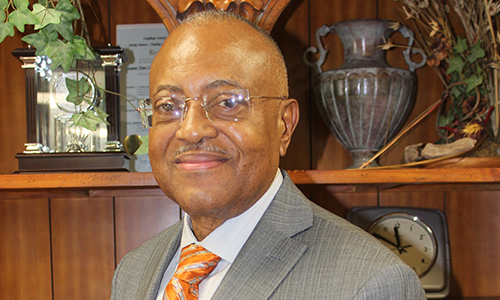 He was ordained as an Elder, under the leadership of Dr. Williams in 1996. Elder Riley has also worked with the former Prison Ministry and with the Men’s Fellowship Ministry. He has been married for over 42 years to Deaconess Adrienne and together they have three children and four grandchildren.